Selma Botman will keep her $203,000 salary as she develops programs in international education. PORTLAND – University of Southern Maine President Selma Botman, who faced a no-confidence vote and drew criticism for giving nearly $1 million in discretionary raises, is stepping down after four years to fill a new position encouraging international students to attend Maine’s state universities. Botman will keep her $203,000 annual salary as a special assistant to the chancellor to develop the University of Maine System’s international education programs. 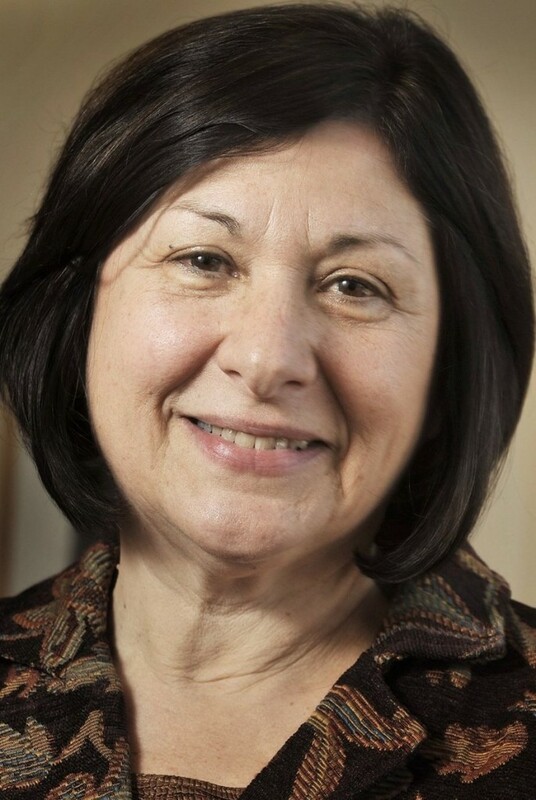 Her likely replacement, Theodora Kalikow, who retired June 30 as president of the University of Maine at Farmington, would also be paid $203,000 a year, said Chancellor James Page. He said the additional salary would be handled largely by leaving some positions vacant. Page, who visited USM this spring after the faculty’s no-confidence vote on Botman fell short of the two-thirds needed for approval, said Thursday that the faculty and the administration agreed that USM must change, but he heard strong differences over how that should happen. He then had conversations with Botman that led to Thursday’s announcement. “It was in looking at that range of challenges, and looking to see how the university can move forward on a wide front to confront all these challenges, that these discussions came up,” Page said. Page said Botman, “in a characteristically selfless move,” asked to be reassigned. Because she didn’t resign and wasn’t fired, her contract — and salary — will be intact until June 2013, even in her new role, he said. Botman’s decision to give nearly $1 million in discretionary raises to staff members over the past four years sparked criticism because the raises came amid budget cuts for the university and wage freezes for the faculty. Botman defended her tenure Thursday at a news conference held shortly after her move was announced. Several faculty members said Botman also leaves a rift between the administration and the faculty at USM, the state’s second-largest university, with campuses in Portland, Gorham and Lewiston. Ron Schmidt, a political science professor, said the faculty and Botman had different visions for USM. He said Botman seemed to favor a university that was highly career-focused, like some for-profit schools. The faculty wanted to model the school after a private college, like Colby, providing a strong liberal arts education. Beyond that, he said, the faculty felt that its views were not taken seriously when it came time to develop policies and a direction for USM. “Last year it got to a point where it became really difficult to engage,” he said. Students, by and large, didn’t know Botman, said student body President T.J. Williams. But Williams said he enjoyed working with her. He credited Botman with “keeping the university above the water instead of under the water.” He said she cut costs by reducing the number of colleges within USM in a way that largely didn’t affect students. He acknowledged that Botman was a controversial figure. At Thursday’s news conference, Botman sidestepped questions about the criticism, saying she felt that she set a solid course for USM that her successors can follow. “It’s fiscally sound, it’s student-focused (and) it’s developed its ties to the community,” she said. 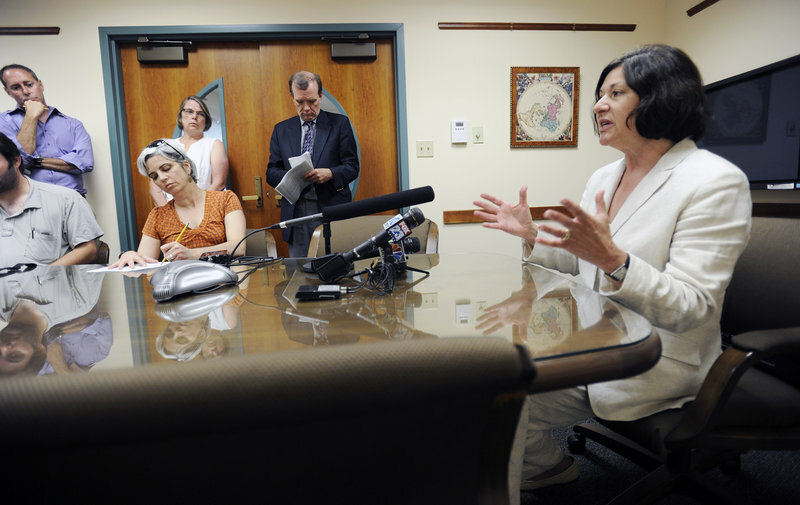 Botman, a noted scholar of modern Middle East politics, said Maine has not kept up in attracting international students while most other state university systems have created positions like the one she will fill. “What we’re doing is catching up,” she said, and her role will be to build the relationships that bring international students into the University of Maine System. Page said he agrees that Maine has fallen behind in attracting international students. “One of our major exports right now is our higher education system, and we are way behind many of our peers,” he said. Karl Turner, a member of the university system’s board, said he doesn’t feel that Botman will be overpaid in her new role. He noted that international students pay “full freight plus” in tuition while many U.S. students get financial aid. As for Kalikow, Page and USM faculty members suggested she would bring a different atmosphere to the university. “We’re very fortunate to have her step in here,” Page said of Kalikow, who led the university in Farmington for 18 years before she retired last week. Her appointment needs approval from the university system’s board, which will meet Monday. Page said Kalikow, 70, had planned to take a couple of months off before returning to work on issues related to the university system and economic development. Her new role means she will be on the job next week at USM. Page said he didn’t know whether Kalikow was collecting a pension or what her salary was at Farmington. Uzzi said she thinks that USM faculty members will be happy with the change in the president’s office. She said that colleagues in Farmington raved about Kalikow’s management style, and that she was envious when comparing it to dealing with Botman.